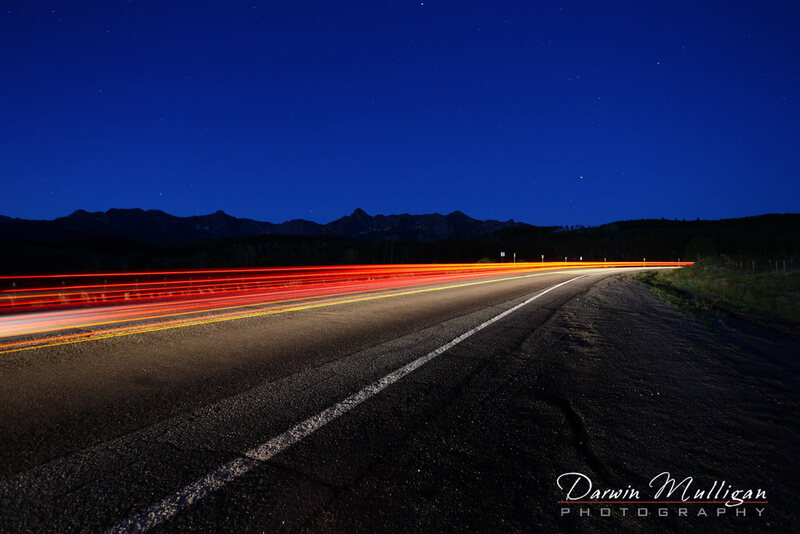 Part of my fascination for photographing highways comes from growing up in small town Alberta. There wasn’t much to do when you were a kid except for dreaming about getting your drivers license. Driving meant freedom, and freedom on the road became a time to reflect and be alone with my thoughts. Highway photography has always been a passion, but it’s not easy getting me to stop my corvette to take the pictures. It has to be exactly the right place, with the lighting and background just right. I think you get the idea. 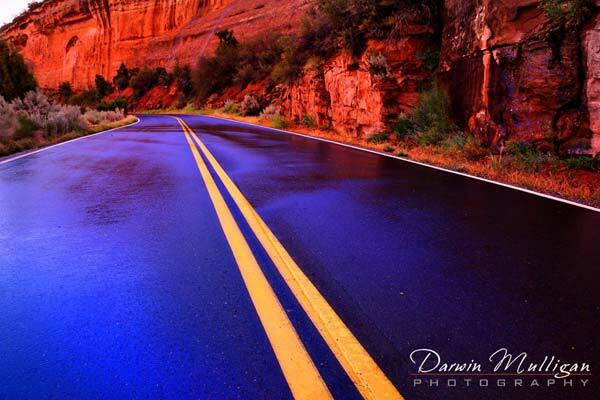 The above photograph was captured at Colorado National Monument, after a rain storm. 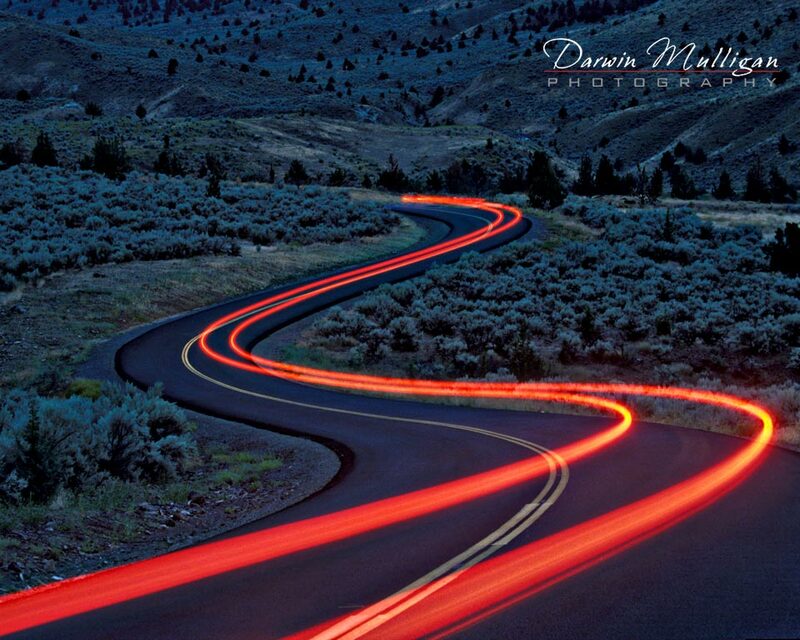 The blue highway is the result of using a Cokin Pola Blue-Yellow filter. 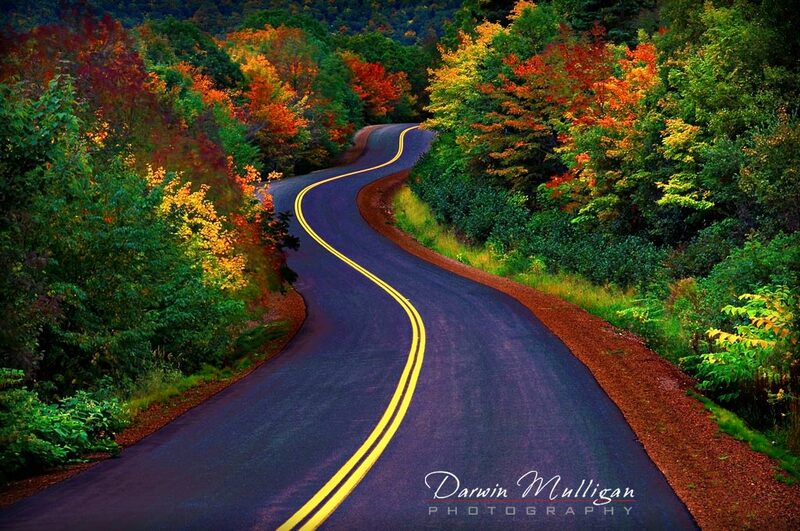 This image was captured on a very windy day along the road to Meat Cove, Nova Scotia. It was very difficult to get a good image due to the high wind. This image won a MERIT award with the Professional Photographers of Canada, a “best in class” award, and “People’s choice” award with the Professional Photographers of Canada – Alberta. 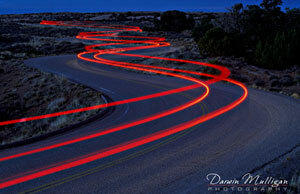 This time exposure photograph was captured by having the vehicle driver drive around 10mph with the brake on. 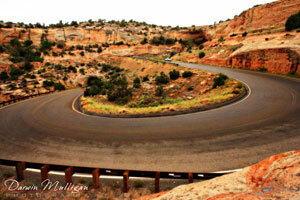 Photography tip: A 15mm fisheye lens was used to create this image of a hair-pin turn on a highway in the Colorado National Monument. Another example of night time exposure photography was used to capture this image along the road to Palouse waterfalls in Washington State. 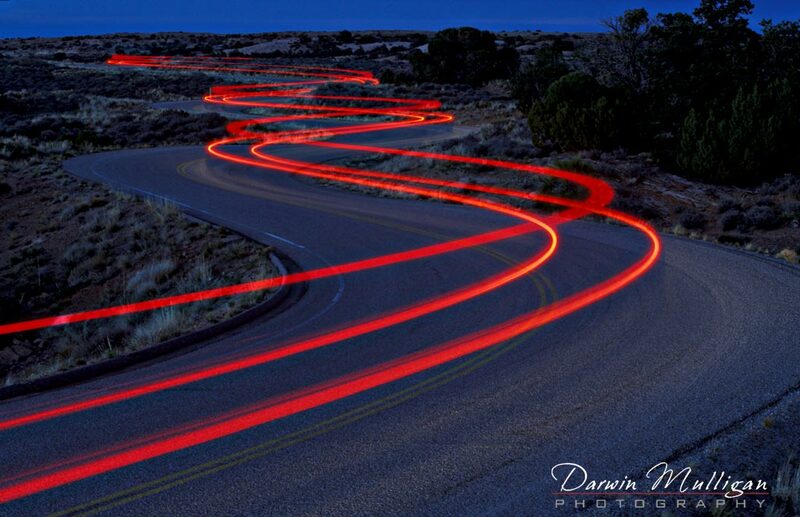 The tripod was set up in the middle of the road. I jumped in the truck, drove around 10mph with the headlights off and the brakes on. 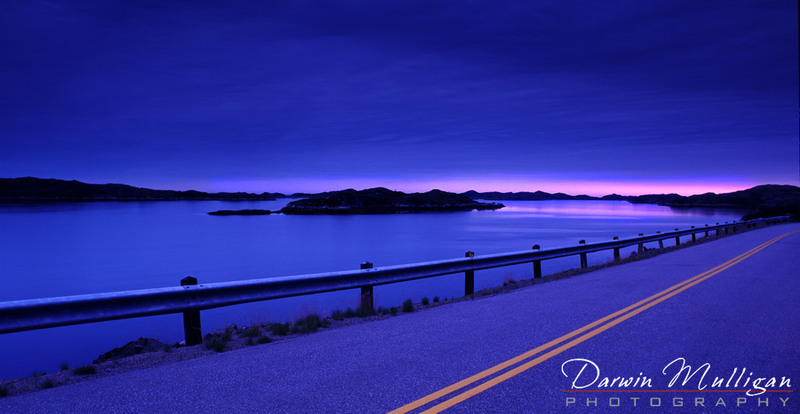 I turned the truck around and making sure I didn’t hit the brakes, I headed back towards the camera/tripod….hoping that I could see it in the dark!. This evening shot was probably less than a minute or two long (as you can tell by the star “points”, not star “trails”). It was very dangerous standing in the dark on the edge of the road. I was concerned about getting killed every time a vehicle went by…. While driving near Burnt Island, Newfoundland in the late evening, I just “had to” stop to capture this highway image. 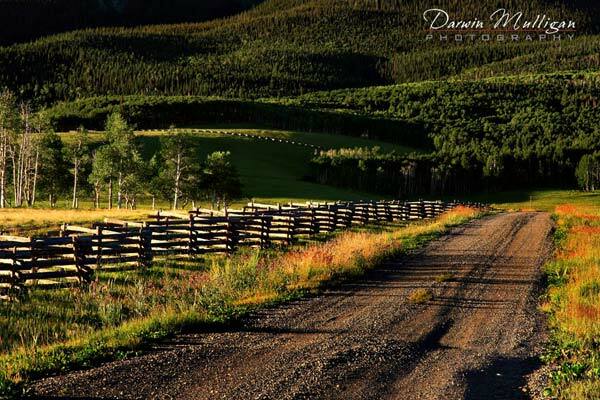 This road shot was captured in the early morning, just after sunrise, along the Lost Dollar Road, Colorado. I was trying to photograph the famous Perce Rock at sunrise, but the fog was so bad, it made photography virtually impossible. 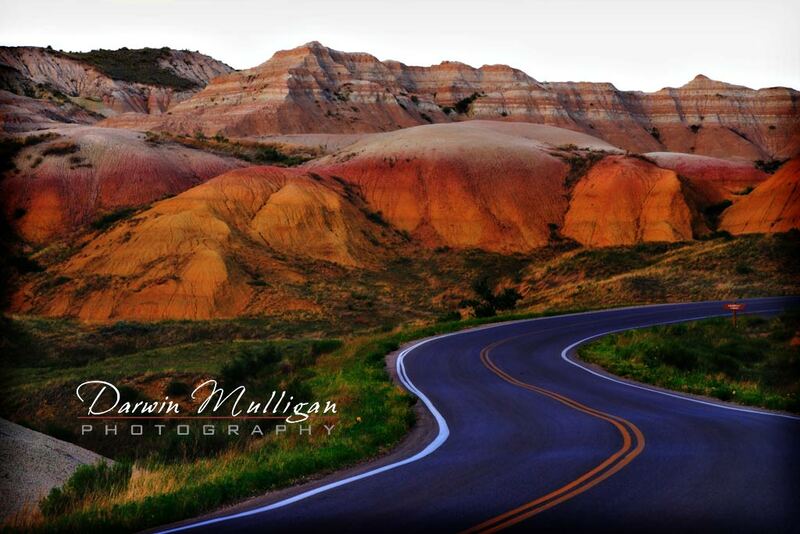 A fellow photographer and I jumped in the truck and went for a drive. 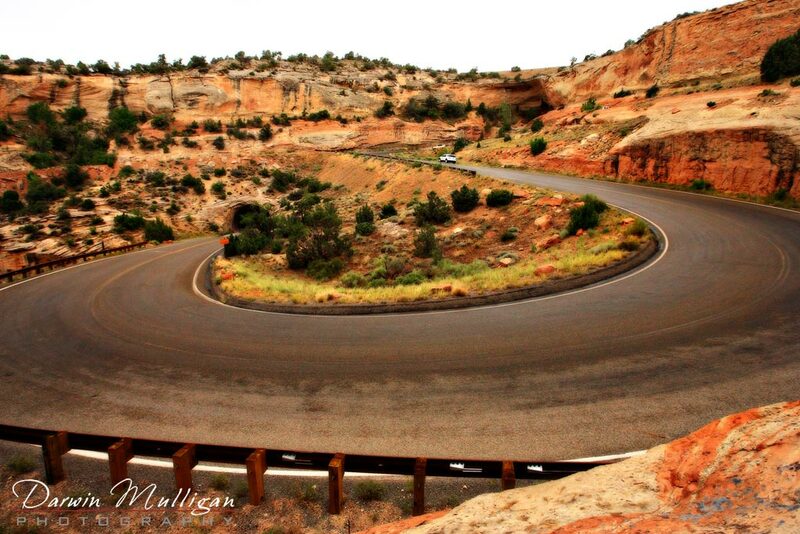 The road headed up the mountain. I looked in the rear-view mirror and saw this. 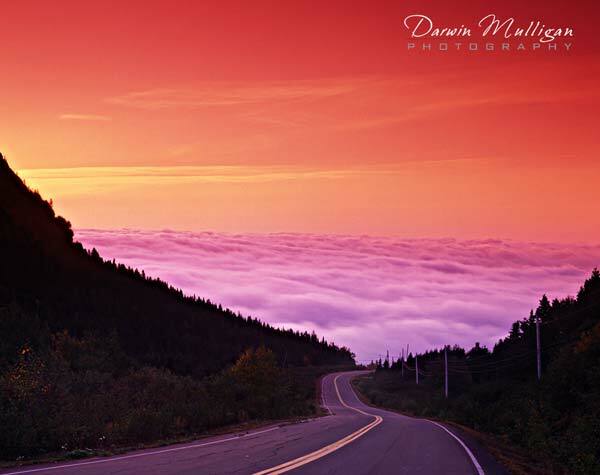 Needless to say, we slammed on the brakes, jumped out, and I was able to capture this image before the fog lifted. 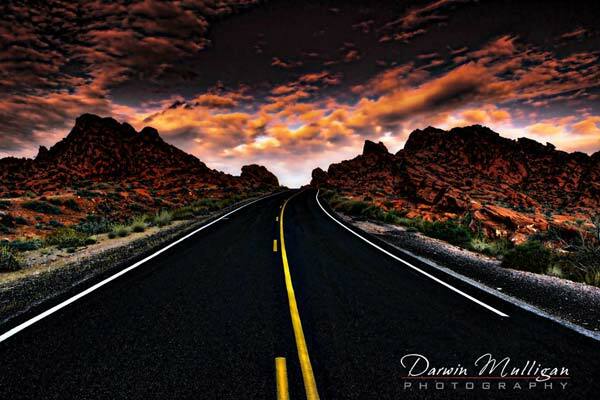 This image has been sold for stock photography advertising numerous times. 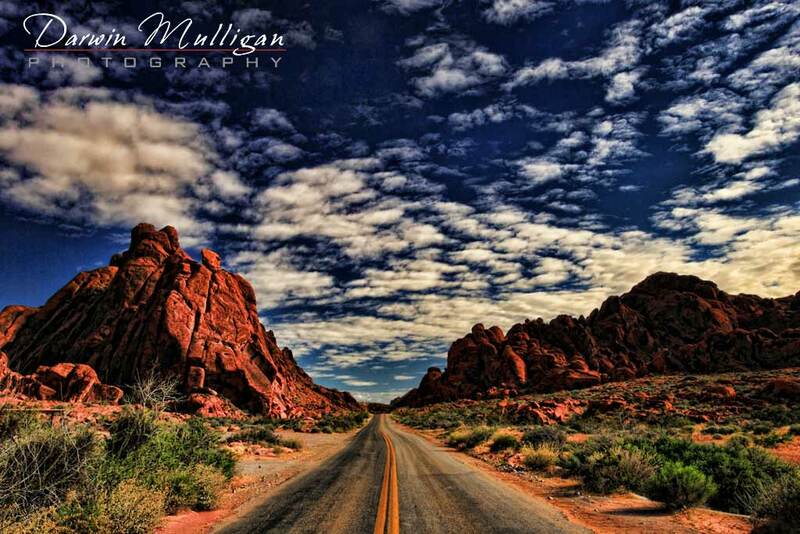 How many people go to Las Vegas, Nevada and miss the Valley of Fire State Park, located only 65 miles away?